The British TOG Heavy Tank- TOG is the initials “The Old Gang” which referred to the group of experienced British Tank designers bought together to develop the vehicle. The first prototype The British TOG Heavy Tank appeared in October 1940 and was known as the TOG 1. 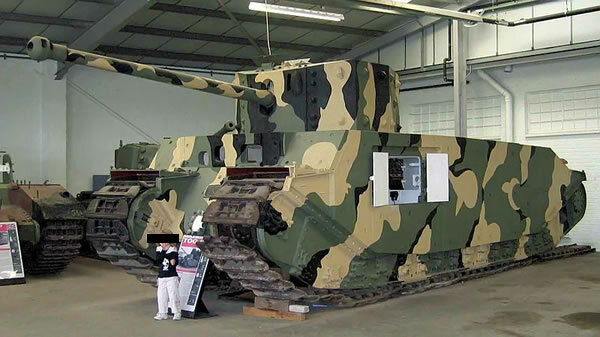 TOG 2 was the second prototype which built in Feb/March 1941. Both vehicles completed a number of trials. As an infantry tank it was very well armoured and reportedly could withstand a frontal hit of a 105mm High Explosive round at 100 yards. It was the first British tank to be fitted with a 17 pdr (76mm) main gun. However it proved difficult to steer and didn’t enter production as the Churchill Infantry Tank proved more capable in trials.